Black, white, grey or navy? Boring, same-old, plain. 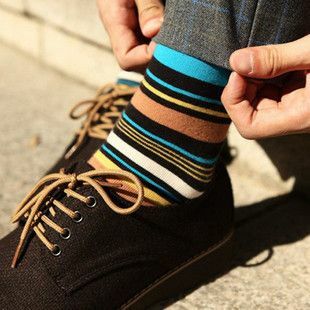 Your socks should be a statement, a conversation starter, as much a part of your outfit as the shoes on your feet, the shirt-and-tie-combo or even the pair of pants you decided on that day. Socks should be anything other than plain. Socks add a cheeky bit of colour and pattern. In some cases, the socks make an outfit! Tartan socks on a man? Why not? 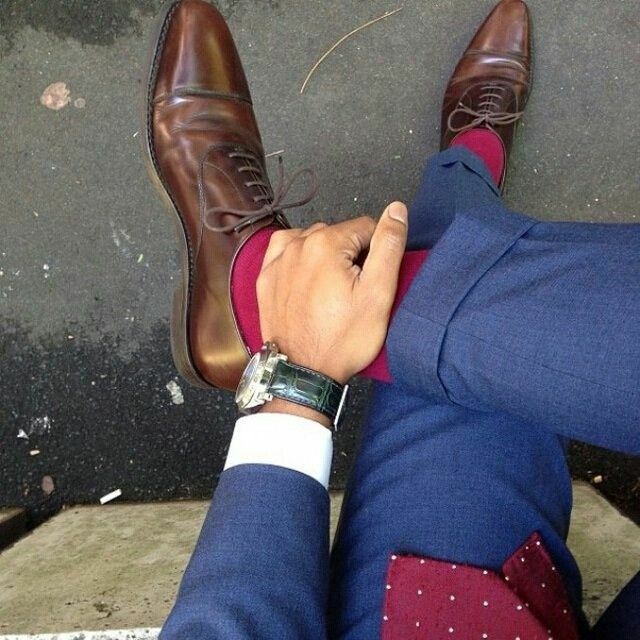 Socks add character and say a little bit about what’s hiding under the business suit. Make sure you’re not screaming unimaginative, dull, or god forbid, threadbare. HOWEVER. If you are scared of showing your true colours, always remember when choosing dress socks, the basic rule is to consider the suit instead of the shoe—in other words, grey suit and brown shoes? Dark grey socks. 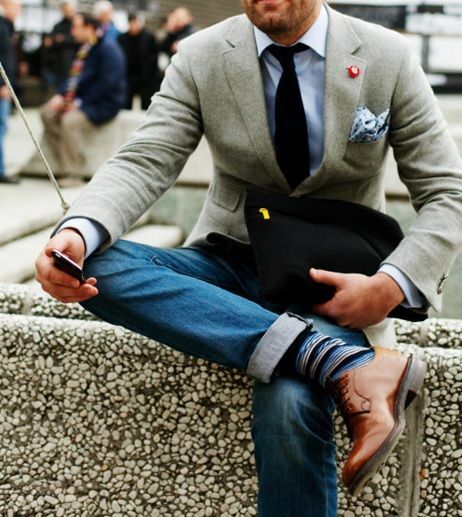 GO BOLD – either make a rebellious statement wearing completely neutral colours and then a sharp pop of colour from your socks. Or if you’re more of a matchy guy, wear colour or patterns that complement the other colourful parts of your outfit. Could be a green tie or even a burgundy jacket and complementary socks to finish.